WOW! Look what’s in today’s Manly Daily. Page three ladies, how about that!. Thank you Manly Daily and Journalist Ali Lowe for all your support for our work. We love your work too. Next lot of urgently needed Birthing Kits are on their way! The next lot of x 100 birthing kits are on their way thanks to your essential donations and the perfect packing of our volunteer packing team Diana and Kylie Adams. Thank you so much for getting these kits turned around so quickly. Now to the next x 150 required to be sent in the next month. Please DONATE to enable us to continue this essential work. 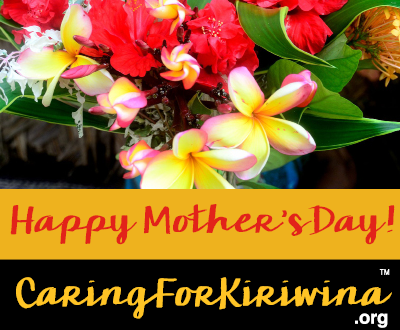 To all our Kiriwinan Mother’s, our Caring for Kiriwina partners and donors, our heart felt gratitude for your love and devotion.